Many have said that the business world is a dog-eat-dog one, but at the Coleman Entrepreneurship Center in DePaul University, success is a thing that’s meant to be shared and taught. Founded in 2003 by Dr. Harold Welsch, the Coleman Entrepreneurship Center is a business outreach center and an extension of DePaul’s highly acclaimed academic entrepreneurship program. On campus, the Center helps students and aspiring entrepreneurs launch and grow their own ventures. In the entrepreneurial community of Chicago, it serves business owners with programs and consulting services that support their careers and professional ventures. With an advisory committee composed of DePaul faculty, students, and staff members within various departments and centers throughout the university, the Coleman Entrepreneurship Center is committed to supporting the entrepreneurial spirit at DePaul. 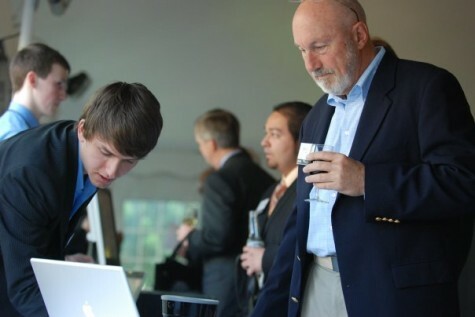 Through guidance for young entrepreneurs in their social, non-profit, and business interests, through collaborations with academic and administrative groups, and through peer-to-peer programs designed to refresh business perspectives, the Coleman Center has become a venue for transforming entrepreneurial aspirations into success. Last year alone, thy were able to serve over 120 clients through its services, held nearly 30 educational programs, and hosted over 800 people at its events. The center’s work on the campus includes providing student-entrepreneurs with knowledge, contacts, and experience through an annual new venture competition called Launch DePaul and Blueprint, a virtual incubator that links DePaul students with community entrepreneur networks and which mentors students with business ideas. 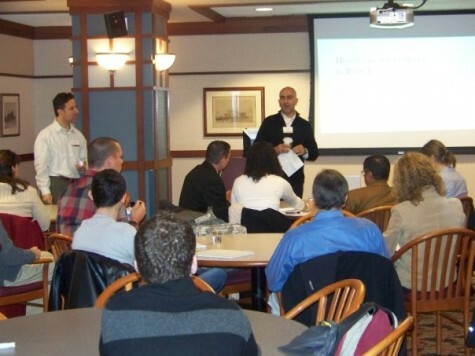 In the Chicagoland area, meanwhile, the Coleman Center dedicates itself to entrepreneurs by providing roundtables and courses exclusively for business owners. A membership program presents a wealth of opportunities – in marketing and networking – for business owners in all industries. Also, there’s the Business Owner Academy, which features a curriculum of courses that are taught by successful and experienced professionals, and which integrate activities that apply to owners’ businesses. Peer Roundtables, meanwhile, provides a monthly venue – or, to be more appropriate, a useful sounding board – for business owners to receive support, discuss and share their experiences and challenges, and refresh their perspectives, be it personal and professional. Dog-eat-dog? That’s not the philosophy at the Coleman Entrepreneurship Center. The keys to business success, after all, never decrease by being shared. Sure enough, at the Center, there’s plenty of sharing, outreach, and support to help students and entrepreneurs make a name for their own.